The equipment intended to be used in potentially explosive areas must be safe. It must be resistant also in hard conditions, it must not be easily damaged or blocked, it must not contribute in increasing the danger within the environment it’s placed in, and, above all, it must not harm the people using it. In order to work in complete safety, for several decades, in Europe and in the rest of the world, the need has been felt to introduce regulations aimed at supervising the products to be used in potentially explosive areas. The first dedicated European regulations took into account only electrical goods, considered more dangerous than mechanical ones. Over time, the European Union created an increasingly complete legislative framework of rules designed to verify the product’s compliance; this framework then turned into real directives. CE Directive 99/92 about workers’ safety and health in potentially explosive atmosphere, that must be applied in explosion hazardous areas. We dealt with CE Directive 99/92 in the previous article, which addresses to entrepreneurs and employers whose companies include risky environments and where the certified equipment are working. In fact, from this directive derives the classification of potentially hazardous industrial areas based on their estimated dangerousness. Now, instead, we are going to focus on the first directive, 2014/34/EU, that replaced 94/9/CE directive as from April 20th, 2016. 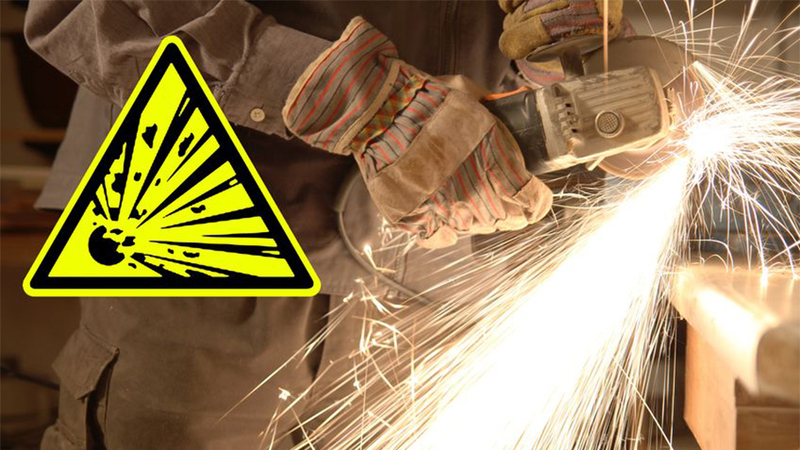 The directive addresses to manufacturers whose equipment is to be utilized in hazardous areas. According to it, the equipment must be necessarily certified if the manufacturer wants his/her products to be sold, installed and used in a European Community Country, in the presence of potentially explosive atmosphere, regardless of its place of provenance. Equipment designed and built for military use or to protect the law and order. As can be seen, the exceptions are not meant to weaken the directive, because they refer to product that are already regulated by other EU directives. ATEX 99/92/CE Directive states that industrial areas are classified in three different dangerousness levels. Obviously, every product will have to comply with the risk characteristics distinguishing the area in which they are installed. category 3: the product is safe when normally functioning. If a manufacturer creates a product belonging to category 3 (safe when working normally) it will be suitable for use exclusively in zone 2, where the presence of explosive atmosphere can occur only in fault conditions. Categories 1 e 2, installed in potentially explosive areas, must be monitored not just by the manufacturer, but also by a third notified body, able to evaluate the compliance with ATEX Directive and to certify the product. Category 3 products can be declared as compliant directly by the manufacturer. ATEX Directive has many pros. One of them is the capacity to help manufacturers classifying products based on their safety, thanks to regulations considering also non-electrical or specific goods. This offers the final users the possibility to be supported in identifying the most suitable products for the area in which they are meant to be placed. Another pro is about its structure: unlike other certifications in which product compliance can be verified only through regulations, ATEX directive has the (mandatory) essential safety and health requirements and offers (voluntary) standards solely to satisfy such requirements. In this way, in the face of a technological innovation, the manufacturer - adequately supported by a notified body - will be allowed to certify his/her product without waiting for the regulation to be transposed and updated, that often requires years of international work. But ATEX Directive has also some cons about products. With reference to 2014/34/EU Directive, one of them is the mandatory check by a third-party only for categories 1 and 2, while the other main certification models don't consider a self-declaration for category 3. This is also supported by the market, that very often requires a voluntary certification for category 3, in order to avoid a "reckless" self-declaration by the manufacturer. Relying on safe equipment is fundamental in the industrial world, especially because it helps to prevent risks for people operating on installations. All this is of utmost importance in potentially dangerous areas, where explosions represent a real possibility. ATEX Directives and other European and International regulations constitute aid and a warranty for equipment’s manufacturers and for those who work in potentially explosive environments.